Causes of excessive hair loss. How to deal with the problem? If your hair lost gloss, became rough and more and more difficult to tame – it means that they start to loose the condition and soon become brittle and dry. To prevent vitality loss and restore hair with intense gloss and softness, L’biotica released special duet for hair, that provides strands with resilience, protection against damages and ensures beautiful gloss. 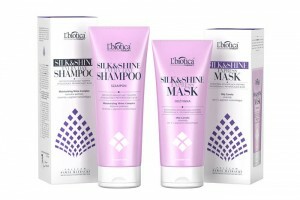 L’biotica Professional Therapy Silk&Shine have aesthetic, lilac packagings. They tempt with nice scent and the promise of spectacular hair. Shampoo task is to nourish matte an rough hair, gradually intensify their gloss and provide them with smoother. Its use on regular basis makes hair become nice in touch, silky and well nourished. Shampoo is gentle, does not cause irritations to scalp, prevents frizzing and additionally protects them against high temperature during drying with hair dryer. This shampoo will be perfect for winter time, when dry air from the radiators can also cause hair to weaken. 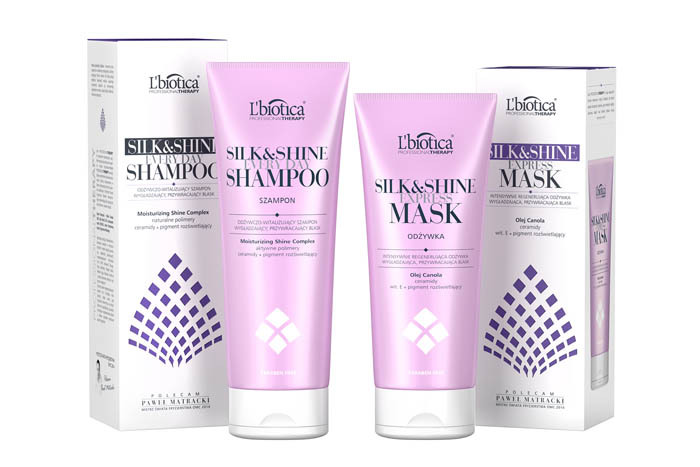 The perfect complementation for L’biotica Professional Therapy Silk&Shine shampoo is a lilac conditioner with subtle scent, that increases hair gloss and deeply nourishes strands. The conditioner is recommended to be used after each hair wash with L’biotica shampoo. It contains highlighting pigments that make strands glossy and colour more intense, by creating on hair surface game of lights. What is more, conditioner contains vitamin E, that inhibits ageing processes in hair, while ceramides provide hair with thermo protection during the stylisation and make hair stop frizz. Good news is also that conditioner was enriched in natural canola oil, which moisturises hair and covers them with special protective layer. Shampoo and conditioner from L’biotica are products worth recommendation. Is there even a woman who doesn’t dreams about silky smooth, glossy and full of life hair? Dress Code for the Hair – what hair style you should “put on” for work?